SAPD homicide detectives are investigating the death of a man shot multiple times early this Sunday, according to the O.C. Register. 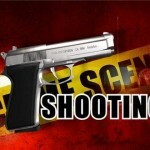 The shooting happened at the 1300 block of West Gertrude at 2:30 a.m. on Sunday. Residents reported hearing gunshots and a car speeding away. The police reported finding a male victim lying on the ground. He had been shot multiple times in his upper torso, according to the SAPD. He died at a local hospital. One of our sources has indicated that the victim may have been Christian Rabadan, a student at Santa Ana’s Valley High School. The Orange County Coroner’s office has not yet reported on this fatality. The shooting happened just west of Memorial Park, less than two miles from Valley High School, in Santa Ana’s Ward 4, which is represented by Councilman David Benavides. « Sarmiento elected to serve on NALEO’s Board at a meeting in D.C.
Is never easy loosing a loved one.. My heart goes out to his parents especially his mom to loose a child is the worst feeling a parent can go threw..Prayers to his family and friends.. MAY THEY FIND THE COMFORT THEY NEED!! Why? how can kids do this to each other. Prayers to the families. I know people don’t believe that our kids aren’t getting enough to stay away from gangs but the reality is that there is a lot being offered. I some times take my kids to free events offered to parents and kids and only about 10-15 parents show up. Every school in Santa Ana has an after school program. Bowers museum offers free after school programs. There are so many non-profits providing services. Many of our at risk neighborhoods have churches offering programs and tutoring. I teach first grade in Santa Ana and I had monthly meeting for my parents and only about 10 out of my 28 parents would show up. Yes I know they need to work, just like my immigrant parents with 7 children had to but they always made time to check up on us at school, even a phone call. We need to focus on empowering our parents, offering parents classes, coping skills and yes, helping them come closer to God. As a teacher I know kids are getting a lot, the money is there in our schools and kids are being offered greater things than when I was in school in Santa Ana 30 years ago. Let’s focus on parents and help them become stronger. Thanks for taking the time to post this. I completely understand where you are coming from. It comes down to city council.